Ebola is only one of many viruses that have been found among animals and transmissible to humans. While Ebola isn’t the first outbreak to catch public attention over the past few decades, it also likely won’t be the last. Increasing research has determined that plants provide some of the most promising opportunities to prevent the outbreak of these viruses, because not only are they easily cultivated and distributed, but they provide a source of resistance to viral outbreaks. Case in point is Thymus vulgaris, Thyme. Thyme has been found to contain multiple antiviral constituents, including thymol, camphor, borneol, carvacrol, terpinenes, pinenes, cymene, terpinenols, citral and cineoles. These and others have been found to be specifically antiviral, but more importantly, in combination, the plant and its essential oils provide significant antiviral protection. And the mechanism of this antiviral protection appears to be related to the same properties found among other studies, of interfering with the glycoprotein molecule lined envelope that surrounds many of the most virulent viruses. In 2007, researchers from Germany’s University of Heidelberg found that thyme oil, along with several other essential plant oils, has significant antiviral potency against the herpes simplex virus type 2. The researchers found that Thyme oil was effective in inactivating the virus significantly. They found the Thyme oil was particularly antiviral immediately prior to the virus’ entry into the cells. In 2006, researchers from the University of Heidelberg studied Thymus vulgaris against Herpes simplex type-1 (HSV-1), type 2 (HSV-2) and acyclovir-resistant HSV-1 (ACV (res)). They tested the viruses with was tested in vitro on cultured cells. The researchers found that plaque formation in herpes simplex-1 and herpes simplex-2 was reduced by more than 90 percent in a dose-dependent manner (the gold standard for determining whether a substance is treating an infection), while ACV replication was inhibited by more than 85 percent gauged from plaque formation. Therefore, the extracts exert their antiviral effect on free Herpes simplex virus and offer a chance to use them for topical therapeutic application against recurrent Herpes infections. More recently, research from Iran’s University of Ahvaz has found that extracts from the plant Thymus vulgaris, Thyme, provide protection from the potential outbreak of the Newcastle virus. The Newcastle virus has primarily propagated among birds around the world. The virus was first discovered in Java and Newcastle, UK in 1926 and 1927. The virus can cause acute illness and frequent death among birds, and it is also transmissible to humans, though so far human infections have been slight. The researchers tested Thyme against the Newcastle virus using eggs. The researchers inoculated seven hen eggs with the virus using some as controls, along with uninoculated eggs. 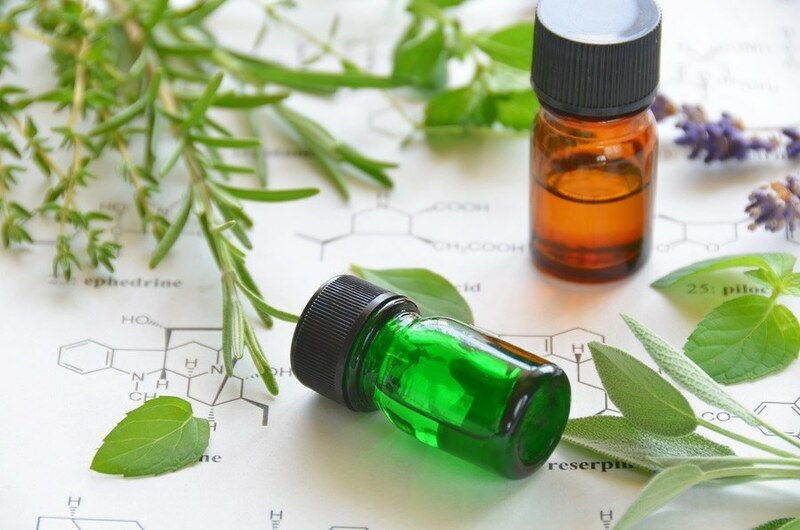 The researchers found that the antiviral activity of Thyme oil was attributed to its volatile biochemical content, which includes sesquiterpenes, monoterpenes, and phenylpropanoids, such as those mentioned earlier. Because the Newcastle virus is an glycoprotein-enveloped virus, the researchers suggested that Thyme’s compounds €œinterfere€ with the envelope over the virus. The researchers also found Thyme was abel to also block attachment of the virus onto cell membranes, as well as block the entry of viruses into the cell. The mechanism of action of these compounds is killing the virus and/or interfering with viral replication. The most important glycoproteins in Newcastle virus are haemaglutinin neuramidase and fusion proteins, which are necessary for attachment and multiplication. Protease inhibition activity is observed in some substances of these plants, thus these compounds can interfere with the cleavage of these glycoproteins and inhibit virus attachment. The glycoprotein envelope that covers Newcastle is similar to the glycoprotein that covers HIV, Herpes simplex, Hepatitis and Ebola viruses. Thymus vulgaris has been used for centuries by traditional healers for fevers, colds, flu, headaches, fatigue and digestive issues. Thyme’s ability to deter infections has been one of its most referenced capabilities. Notable relatives of Thymus vulgaris include T. capitans and T. serphyllum (considered Wild Thyme). Other related herbs such as Marjoram, Horse mint and Japonica also contain thymol, one of the most scientifically-researched compounds in Thyme. Another relative of Thymus vulgaris is Thymus linearis. Researchers from Nepal’s Tribhuvan University studied Herpes simplex against this species of Thyme and found it also had maintained significant antiviral activity against both HSV-1 and HSV-2. Thymol is one of the standard antiseptics used today in hospitals and homes. Thymol is strongly antibacterial, antifungal and antiviral. Many commercial mouthwashes also contain thymol. Thyme leaves are typically used in herbal medicine. The essential oils from the leaves and stems were used in most of the research above. One might pose the question: Will spicing my food with dried Thyme leaf/spice provide medicinal benefit? Probably not too much unless enough is added to overwhelm the food being spiced, but it certainly is a good addition to a meal. Taking any essential oil internally should accompany the advice of a health professional. Before using any essential oil it is a good idea to apply a tiny amount to the skin to test for sensitivity. Rezatofighi SE, Seydabadi A, Seyyed Nejad SM. Evaluating the Efficacy of Achillea millefolium and Thymus vulgaris Extracts Against Newcastle Disease Virus in Ovo.Jundishapur J Microbiol. 2014 Feb;7(2):e9016. doi: 10.5812/jjm.9016. Koch C, Reichling J, Schneele J, Schnitzler P. Inhibitory effect of essential oils against herpes simplex virus type 2. Phytomedicine. 2008 Jan;15(1-2):71-8. Rajbhandari M, Mentel R, Jha PK, Chaudhary RP, Bhattarai S, Gewali MB, Karmacharya N, Hipper M, Lindequist U. Antiviral activity of some plants used in Nepalese traditional medicine. Evid Based Complement Alternat Med. 2009 Dec;6(4):517-22. doi: 10.1093/ecam/nem156. Astani A, Reichling J, Schnitzler P. Comparative study on the antiviral activity of selected monoterpenes derived from essential oils. Phytother Res. 2010 May;24(5):673-9. doi: 10.1002/ptr.2955. Nolkemper S, Reichling J, Stintzing FC, Carle R, Schnitzler P. Antiviral effect of aqueous extracts from species of the Lamiaceae family against Herpes simplex virus type 1 and type 2 in vitro. Planta Med. 2006 Dec;72(15):1378-82.